Construction charity organization AGC Charities Inc. is partnering with local construction firms to help build “Morgan’s Inspiration Island,” a new handicap-accessible water park. 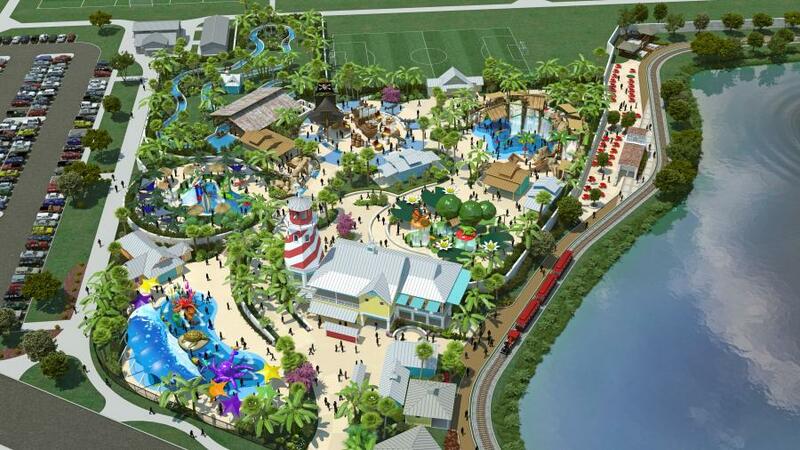 Construction charity organization AGC Charities Inc. is partnering with local construction firms to help build “Morgan's Inspiration Island,” a new handicap-accessible water park addition to non-profit Morgan's Wonderland. As part of the charitable organization's annual Operation Opening Doors effort, many construction firms will be donating time, expertise and money to build a first-ever handicap accessible water park in San Antonio, Texas. Morgan's Wonderland is the world's first theme park designed with special-needs individuals in mind and built for everyone's enjoyment. The new expansion to Morgan's Wonderland — Morgan's Inspiration Island — will serve as the world's first ever fully-accessible water park when it opens in spring 2017. The park addition will include five new water play areas and a riverboat ride. AGC Charities and the local contractors, who are calling themselves, Inspiration Island Working Group, will help build five new pump houses, a new main building and the signature light house feature for Morgan's Inspiration Island, Williams noted. The volunteer contractors, who are being organized by Linbeck Group and the AGC of San Antonio, plan to conduct most of the construction work during a two-day blitz on March 9 and 10 right before the start of the Associated General Contractors of America's national convention, which is taking place in San Antonio. A number of San Antonio-based firms participate in the Morgan's Inspiration Island Working Group to help with the project, Byrnes noted. In addition to Linbeck Group, other firms involved include: Joeris General Contractors; Guido Construction; F.A. Nunnelly Company; Cude Engineers; 8A Electric Inc.; and D Ash Construction Management. Williams said the AGC Charities group is currently fundraising to support costs associated with constructing the water park addition. He noted that the charitable group was established eight years ago to channel and support the charitable efforts of the construction community. He added that the group held previous national Operation Opening Doors projects in Washington, D.C., Honolulu, Orlando, Las Vegas, Palm Springs and San Juan. Encompassing 25 acres in an abandoned quarry in Northeast San Antonio, Morgan's Wonderland features more than 25 elements including wheelchair-accessible rides, playscapes, gardens and other family attractions. For more information, visit agccharities.org and www.MorgansWonderland.com.